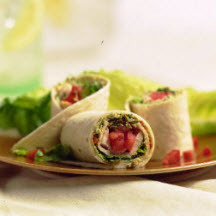 CooksRecipes has quality, kitchen-tested recipes for a variety of tasty sandwich wraps. 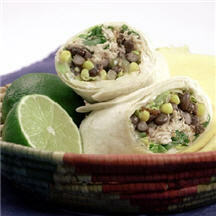 Wrap your taste buds around these fresh-tasting chicken wraps with black beans, corn, Jack cheese, romaine lettuce, sour cream and salsa. 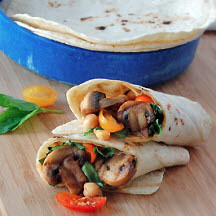 These flavorful, fresh-tasting wraps make a delicious quick lunch or light dinner.